Stockholm, Sweden. The Riksmord is the national based homicide squad and their leader is Torkel Hoglund. Reporting to him are Ursula Andersson (a forensic expert who is married but having an affair with Torkel), Vanja Lithner and Billy Rosen. There have been three brutal murders in the city. Women dressed in a particular nightdress with their hands and feet bound. They have been raped and have had their throats cut. The way the murders have been executed is reminiscent of a serial killer named Edward Hinde. But Hinde has been in the Lovhaga prison for fourteen years. The man who helped put Hinde behind bars is Sebastian Bergman. A psychologist and profiler he has written books about Hinde. However life is getting difficult for Bergman. He lost his wife and daughter in a Tsunami and has never fully recovered. He has a history of seducing women and has lost count of his conquests. Amongst these is the mother of Vanja Lithner, although she has no idea Sebastian is her father, and hates the man. With the Press making life difficult, Torkel and his team must find the connection between a copycat and the original serial killer. Sebastian wants to interview Hinde but Vanja feels she should be the one. Feelings are running high, as Billy the fourth member of the team feels he should play a more prominent role. Whilst the “office politics” are played out another murder is about to happen. Is Hinde involved and if so how? Can Sebastian recreate his best achievements and help the Riksmord team to solve who is the killer? 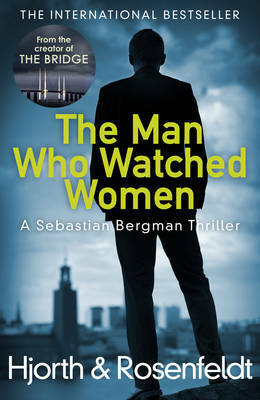 The authors are famous in Sweden for TV and film writing and they have written a few Sebastian Bergman books, but this is only the second published in the UK. A TV series based on the character was shown on BBC Four. This is a well written exciting story; the pace is fast but actually speeds up near the end which leaves you holding your breath as events unfold. I’ll be definitely reading more about Sebastian and highly recommend this book.